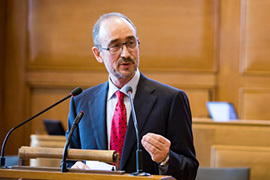 Historian Alexander Keese has been awarded the National Latsis Prize worth CHF 100,000 for his work on African history. 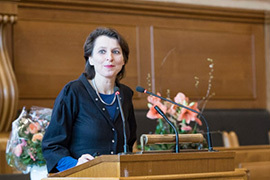 The award ceremony took place at Bern Town Hall on 12 January 2017. 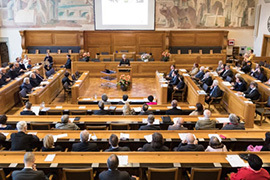 ​Alexander Keese (39) received the prize in recognition of his research into ethnicity, forced labour and political transitions in west and central Africa. 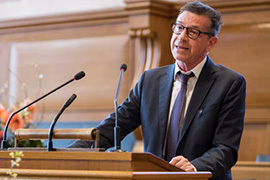 He has held an SNSF Professorship in the Department of History at the University of Geneva since 2015. 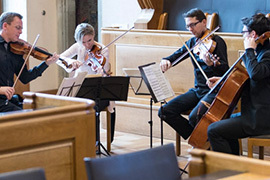 The SNSF awards the Latsis prize annually on behalf of the Latsis Foundation in Geneva. 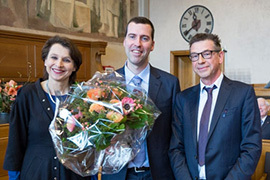 The award ceremony at Bern Town Hall was opened by the new president of the SNSF Research Council, Matthias Egger. 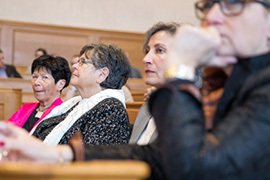 Around 80 guests attended, among them former Federal Councillor Ruth Dreifuss and representatives of the education, research and innovation domain. 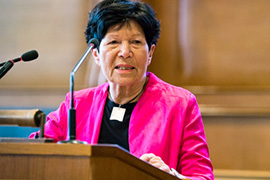 As guest speaker, Professor Helga Nowotny, professor emeritus at ETH Zurich and former president of the ERC, emphasised how important the humanities are in defining and responding to the changes and challenges faced by society. 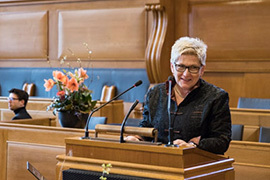 She believes their role is all the more important because we can no longer take it for granted "that people believe in science, facts and knowledge". 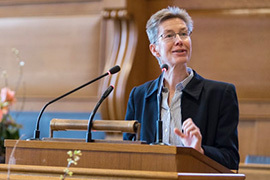 The laudatory speech on the laureate's career was delivered by Professor Corina Caduff, member of the Research Council of the Humanities and Social Sciences division. She noted that Keese avoids a eurocentric perspective in his research, assuming an African point of view instead. 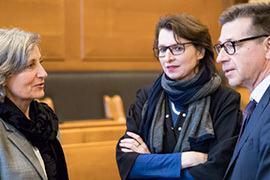 Before awarding the National Latsis Prize to Alexander Keese, the President of the SNSF Research Council, Matthias Egger, explained how colonialism research is relevant for his own area, epidemiology: "Colonialism was the unwitting accomplice of HIV and its spread." At the end of the 19th century, the virus spread from the Cameroonian rainforest to Kinshasa, "the archetypal colonial city". From there it reached Port-au-Prince and the Americas. 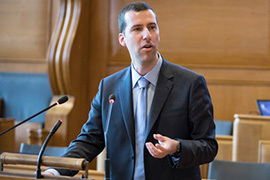 Alexander Keese then introduced the most important results of his research into ethnicity, the African elites and forced labour. He concluded that ethnicity is not a primary source of people's identity and that it became relevant later in response to colonial categorising. Keese also explained that the trauma of forced labour is felt to this day: it is one of the reasons that people are reluctant to get involved in large development projects.